We offer Auto Bagging Machine, this range of bagging machines is adapted to suit each customer’s special requirements by adding standard options. A low cost version is available with a simple, mechanical weighing system. The machine uses the microcomputer technology combined with load cell technology to provide comprehensive and flexible control. 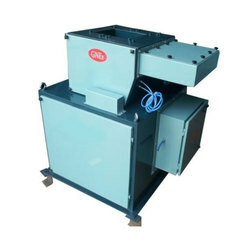 Gravity Feeder is used for feeding material from the hopper to the Weigh hopper for fast and accurate bagging. Dust collection points are provided at the Weigh hopper and Bagging Chute for dust free operation.